Inclinometers are designed to measure the magnitude of inclination or tilt and its variation with time in structures like retaining/diaphragm walls, piles etc. Encardio-rite is the world’s leading manufacturer and supplier of Inclinometers and deals with the most advanced MEMS digital inclinometer systems. At Encardio, we have many types of Inclinometers. 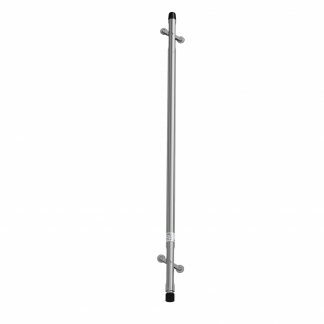 tThe Model EAN-26M-2 Vertical Inclinometer Probe Inclinometer System utilizes the capability of high computational power and large high-resolution colour display of today’s Android OS based mobile phones as a readout and data storage unit. The mobile phone uses wireless Bluetooth connection to communicate with the inclinometer reel unit. 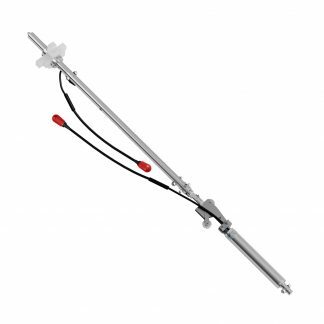 The Model EAN-26M, EAN-26M-2 Inclinometer System is an advanced, lightweight, shock resistant digital MEMS biaxial inclinometer system that consists of a traversing type digital tilt sensing probe that is connected to a reel unit kept at borehole top. 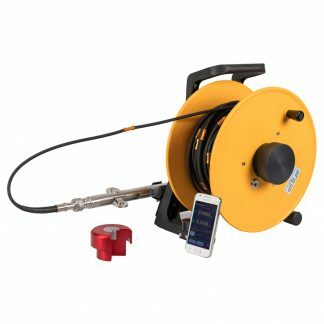 The reel unit consists of a winding reel that holds the cable and a wireless Bluetooth relay unit that sends the digital probe data to the mobile phone. The Model EAN-51MV, EAN-52MV Vertical In-Place Inclinometer System provides significant quantitative data on the magnitude of inclination or tilt of a foundation, embankment or slope and its variations with time. It also provides the pattern of deformation, zones of potential danger and effectiveness of construction control measures undertaken.